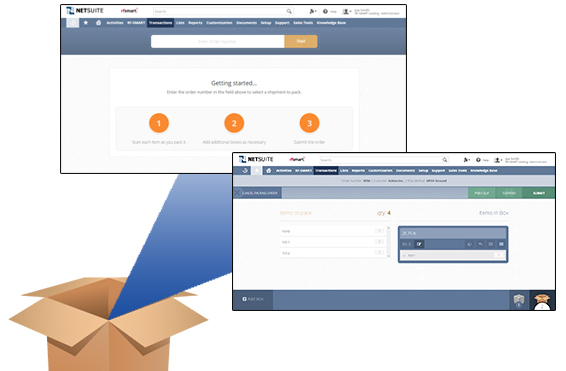 RF-SMART's Packing Station helps you maximize order accuracy by scanning items as you pack them - and the option to ship with one click. Need to Pack and Ship? Get the best value with every shipment, while simplifying and streamlining your shipping process.